My daughter, Chloe started kindergarten this year. I’ve been feeling a weird set of bittersweet emotions as she starts her education journey. 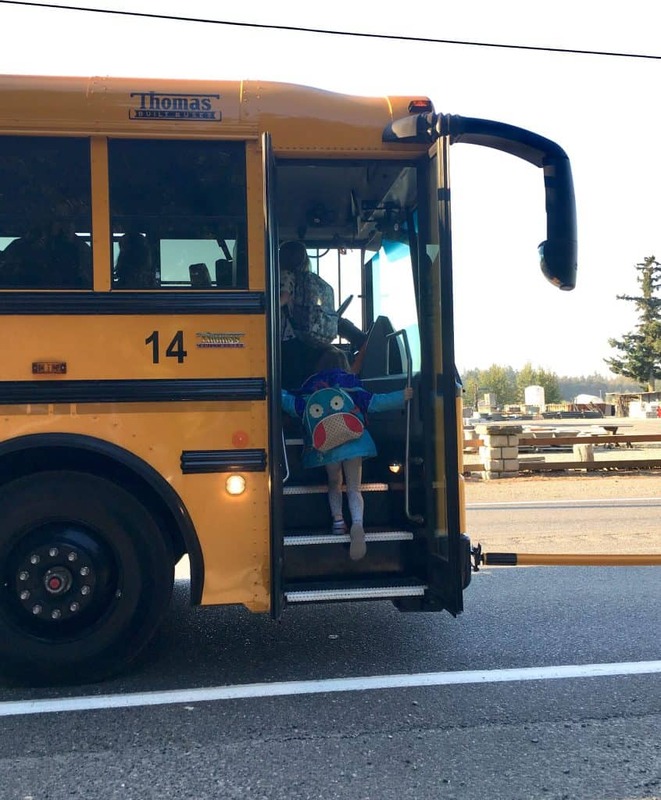 She went to preschool for two years so I’m used to her being away at school several times a week but this year she is riding the bus to and from school every day. She is also doing full days this year instead of just mornings. I know she will be fine, but of course I still worry about her feeling scared or nervous on the bus and being with a new group of kids. Getting ready to start kindergarten is a big deal for kids and their parents. 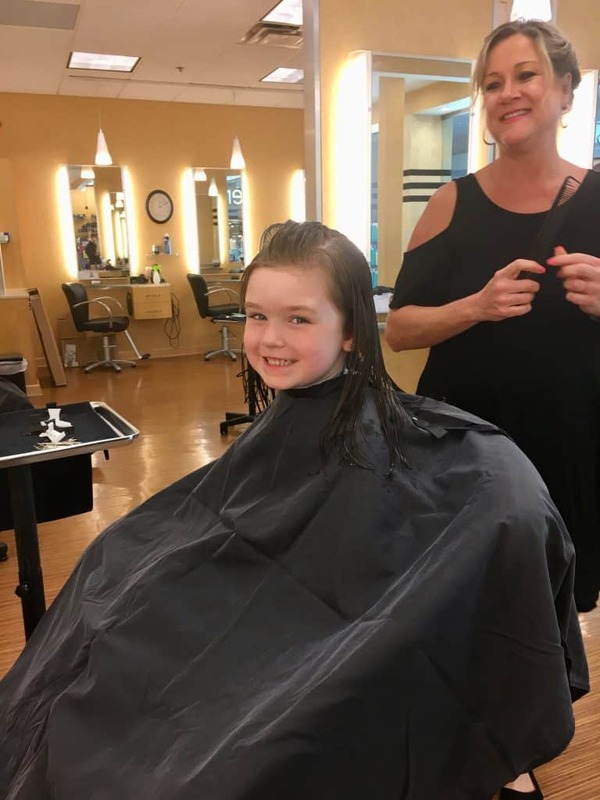 I know she was feeling both nervous and excited for the beginning of the school year and I wanted to have a fun day together where we got ready for back to school by buying some new clothes and getting a fresh haircut. 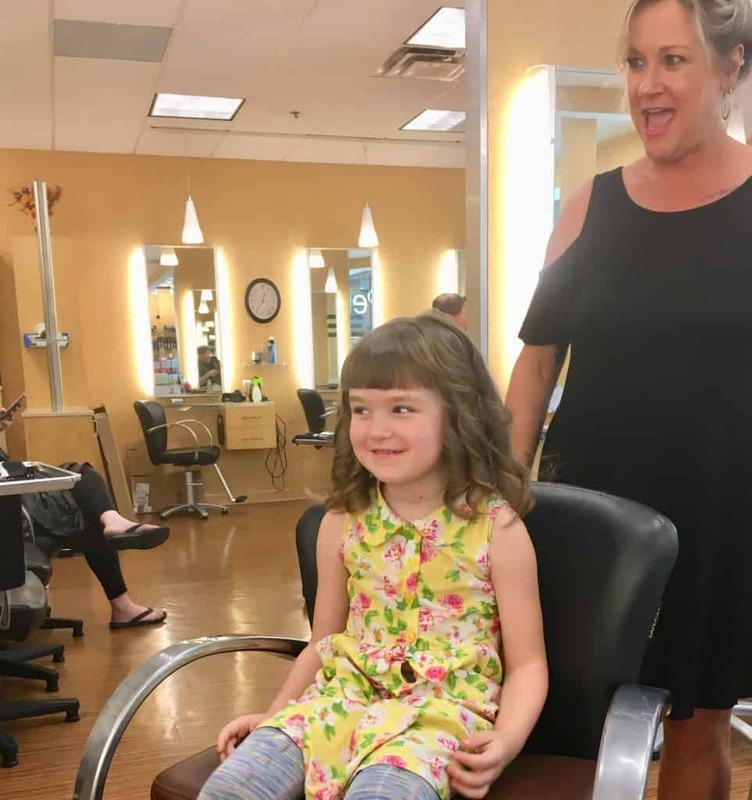 Going for a back to school haircut is kind of a tradition for school age kids. I remember when I was a little I would always get excited to get a new hairstyle in the fall. Chloe and I headed to our local SmartStyle by Regis hair salon. They are conveniently located in Walmart locations nationwide. We already shop at Walmart for a lot of our household needs, back to school supplies and clothes so it’s nice to multitask and get haircuts while we are getting the rest of our errands done. I’m all about saving time and money so it’s a win for everyone. Chloe gets fussy about having her hair washed and cut. Getting Chloe to let me wash her hair during bath time or trim her bangs is always a challenge. I prefer to take her to the salon because I know she will let the stylist wash and cut her hair without any fuss. One of the ways I bribe my kid into doing things that she might not want to do is to either make it into a game or sweeten the pot with extra rewards. I told her I would ask the hair stylist if she could curl her hair a little bit after she cut it. Chloe was very excited to have some “fancy” curls in her hair and she sat patiently and still for the stylist while she worked. 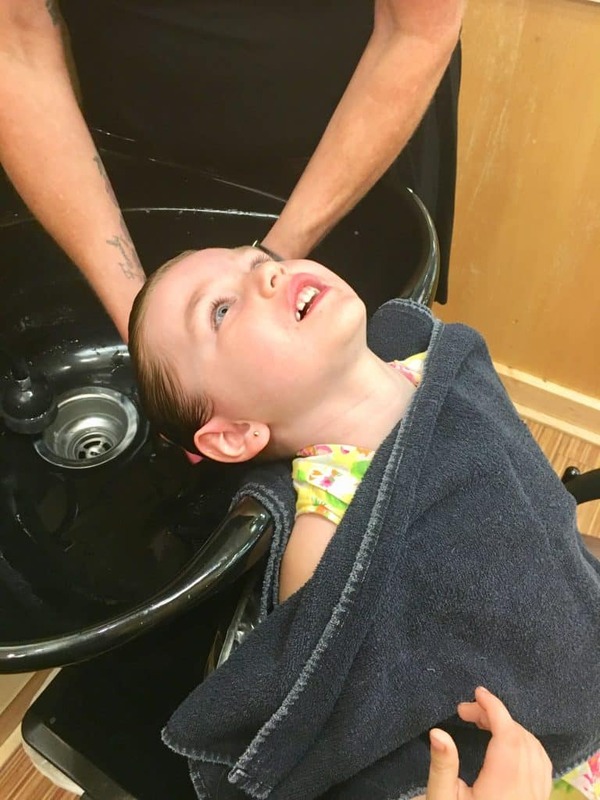 One of the hair care concerns for our family is that we tend to get dry flaky scalps, especially in the winter. I mentioned this to the stylist, Kristen and she recommended that we use coconut oil on the scalp and really work it in before washing. This can help moisturize and loosen any flakes. She also recommended some the Designline Tea Tree shampoo and conditioner as well as Designline EVOO Lite leave-in conditioner. I purchased her recommendations and we have loved using them. Chloe and I had a lot of fun that day and I know she will be very excited when it’s time to get her next haircut. Her transition into being a full-time student has gone very smoothly and I am so grateful. What are some of your favorite back to school memories? Please share with me in the comments and make sure you check out SmartStyle by Regis for your next hair cut!